Roughly 30 percent of Ryanair shareholders voted down Mr. Bonderman's re-election bid as company chairman due to last year's wave of flight cancellations, ending his 23-year-long tenure. The news follows the company's first quarterly profit losses of €19.6m (£17.2m) since March 2014. The company transported 32.7m customers compared to 30.4m the year before, where the company boosted profits 9 percent to €1.53bn (£1.34bn). Ryanair spokespersons blamed "excess winter capacity in Europe" for profit losses, citing increased competition amongst low-cost carriers. But a 32 percent spike in company fuel prices and 31 percent staff cost increase are more likely to blame, with the airliner's operating costs skyrocketing 20 percent to €1.54bn (£1.35). Mr. O'Leary hinted last year that he could resign in five years, but agreed to another five-year contract, according to the company. The embattled airliner also unveiled on Monday plans to create four subsidiaries due to the profit losses, mirroring setups in companies such as IAG and British airways, as well as a potential no-deal Brexit which “remains worrying high”, the company said. But his role will shift to group CEO, meaning he will manage chief executives for Ryanair, Ryanair Sun, Ryanair UK and Laudamotion. "While a €20m loss in Q3 was disappointing, we take comfort that this was entirely due to weaker than expected air fares so our customers are enjoying record low prices, which is good for current and future traffic growth," Mr. O'Leary said in a press release. "While ancillary revenues performed strongly, up 26% in Q3, this was offset by higher fuel, staff and EU261 costs." 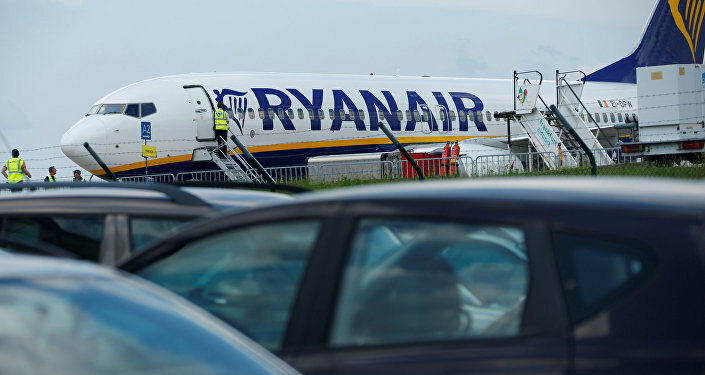 A EU-wide lobby for aviation fuel taxes could compound Ryanair's high fuel costs claims, as some groups claim climate change has created an impetus to amend the 2003 Energy Taxation Directive (ETD) which sets tax laws on fuel products in the European Union. A loophole in Article 14 in the directive has encouraged member states to offer tax exemptions on aviation fuel for "domestic, intra and extra-EU flights" since 2003, according to research from Brussels-based Transport and Environment. T&E also said that the UN aviation agency, the International Civil Aviation Organisation, used non-binding resolutions to encourage "mutual fuel tax exemptions" across Europe, along with national-level bilateral agreements across the aviation industry. Bill Hemmings, aviation director at Transport & Environment, said on Sunday that the aviation industry had been "treated with kid gloves for decades when it comes to fuel taxation," adding that countries such as the US India, Brazil, Japan, Norway and Switzerland "all tax domestic aviation fuel". "There is fresh talk of how taxation can help curb climate change, but continuing to give the most carbon intensive of transport modes a free ride is unfair to other taxpayers and to the very many who don't fly," Mr. Hemmings concluded. "But most of all, it's plane stupid."